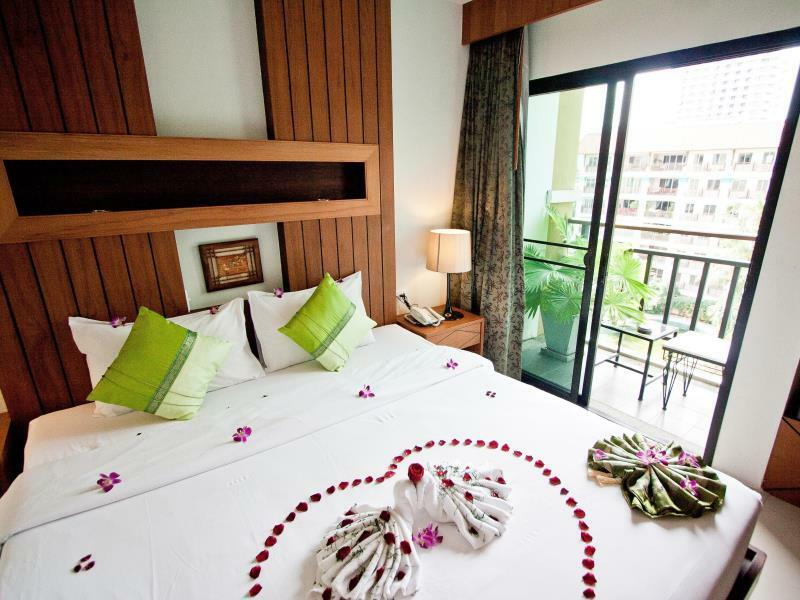 "Good location is just a few min walk can reach bazaan market..."
Have a question for The Chambre Patong? "Free coffee n tea provided at lobby at all time." "Very nice staff, helpful and nice." "Good american breakfast with big espresso (real!) for 170 bath." When visiting Phuket, you'll feel right at home at The Chambre Patong, which offers quality accommodation and great service. Only 15 km from the city center, the hotel's strategic location ensures that guests can quickly and easily reach many local points of interest. This modern hotel is in the vicinity of popular city attractions such as Jungcelon Shopping Mall, Ban Zaan Fresh Market, Bangla Boxing Stadium. At The Chambre Patong, every effort is made to make guests feel comfortable. To do so, the hotel provides the best in services and amenities. While lodging at this wonderful property, guests can enjoy free Wi-Fi in all rooms, daily housekeeping, taxi service, 24-hour front desk, luggage storage. Guests can choose from 19 rooms, all of which exude an atmosphere of total peace and harmony. Besides, the hotel's host of recreational offerings ensures you have plenty to do during your stay. 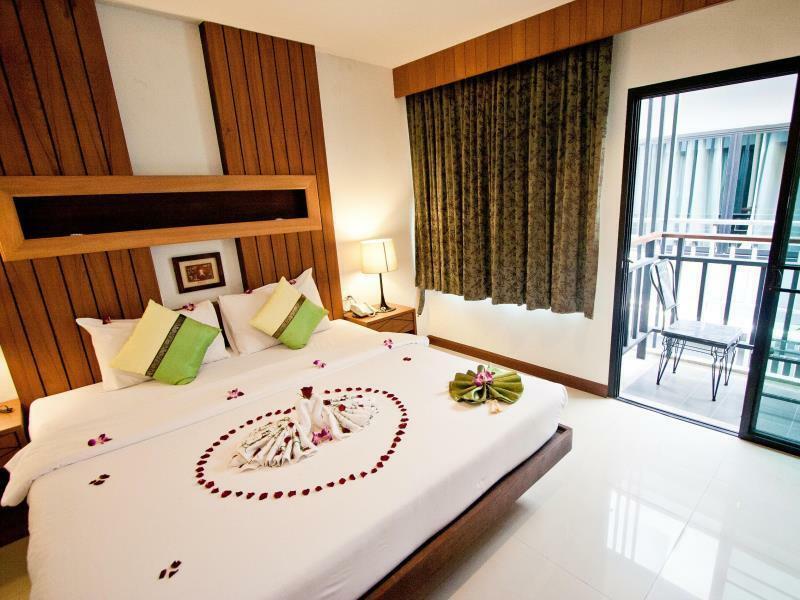 The Chambre Patong is your one-stop destination for quality hotel accommodations in Phuket. Quiet and good location, great shower with good water pressure, comfortable bed. Uninterested staff and pretty worn bed linen. But I would probably stay there if I'm ever back in Patong on a limited budget. We booked this room because of balcony but sadly it’s super small and it’s only half meter away to another building balcony, people can see or climb to our balcony easily, no privacy at all. Old furnitures, dark lighting and very simple washroom. I wont recommend this hotel to anyone. Staff just poker face all the time. We chose this hotel because Agoda cancelled my booking and due to peak season, we had no choice. Let’s start with the good points: - the rooms were very clean and the cleaning staff was very nice - good location, close the Bangla road and the shooing centre Now the bad points: - it’s really noisy for all sorts of reasons: water trucks, adjacent market on Wednesdays and Sundays, etc - the areas is full of rats. On three occasions we spotted a big rat hiding under the sofas in the lobby. There is a cat living in the lobby but it does not chase the rats. All in all, I can’t recommend the hotel mainly for the the rats crossing the lobby. Small hotel with big heart!!!! Cheap price, near to baanzan night market, jungceylon n Bangla street. Aircon is good, hot water is good( room 201). M happy to see my friend in chambre again.. A black/white cat. Free coffee n tea provided at lobby at all time. Will definitely book chambre again for my next visit.. Keep it up!!! Very nice staff, helpful and nice. Cleaning can be improved but OK. A bit worn down towels. Try to get a room that is not facing the next hotel since it's only 1 meter between them. No breakfast but lot of places to have your breakfast close by! Would recommend Orchid Resortel just 50 meters away. Good american breakfast with big espresso (real!) for 170 bath. Family owned hotel, very lovely and helpful! Elevator. Fridge and safe in room. Really good WiFi! Good water pressure and good aircon. 5 minutes to Bangla and Jungceylon. Check in went like this: Me: Hi, I'd like to check in please. Staff member: Passport. Me: Okay.... here you go. Staff member: Room 403. Me: Thanks so much. Excellent location, 5 mins to Bangla Road. Good accommodative and friendly staff. Free coffee/tea at lobby 24 hrs. Booked superior room, located at Level 5. Nice balcony for smoking, ashtray provided. Room and washroom clean and well maintained. Will stay again. Great value for money. Definitely recommend this place to solo travelers and groups. 2 min walk and you're in the center of the happening area with the beach another couples minutes walk. Incredibly nice staff. Cool A/C. Flatscreen TV. Good WIFI. Only thing that would make this place perfect is a swimming pool/gym. But regardless, I will definitely stay here when I'm in Patong again. Very close to Bangla road and Jungceylon yet one block down a quiet street so you can sleep. If that's what you're looking for in location there is none better. Has all you need with private hot shower and clean linen and room safe and AC. Softer than most Thai beds which is not saying much. Nothing too fancy but nicer than you expect for the price. Guest friendly and no complaints with staff. Not more, but also surely not less than you are looking for. Right in the center of Patong, but amazingly quiet in the night considering that one is right next to Banla Road. The streets close by are so busy during the evening that you can't expect a taxi to bring you right up to the hotel. But, you have all the bars and restaurants of Patong within walking distance. Location wise very good. Value for money. Please don't expect so much for the money u paid. Good hotel & room conditions was good. I'm happy with this hotel. Please don't expect to much for the conditions of this hotel since the rate are cheap for the stay. Room conditions is very good for the money I paid. I give them 4 star in term of money paid for my stay * Located in prime area of Patong. Walking distance to Bangla Street, Jungceylon Mall & Patong beach about 10 minutes. Although the hotel are near to the busy area but it's very quiet since the location is behind the Son Sabai Road. * Room considered spacious for the rate they charged. Aircond & Water heater working well. * Staff are very friendly and attentive although at the beginning the girl at the counter doesn't smile & greet. After I knew her she's friendly and helpful because she told me she very shy. Well I'm enjoyed my stay & will definitely return to this hotel for my next visit. Recommended for first timer..
me& my friend booked this hotel base on agoda review, but just plan to stay for 1 night first to see if everything is ok so we can change. Position of hotel is perfect for us, just few minute walk to bangla road & patong beach, but still have space for good sleep at night. room is small but ok 'cause we not stay in hotel much. staff is really nice & helpful. they not charge us anything for early check in. so we decide to stay 1 more night at hotel. definitely will stay there again if we go to phuket. The staff were always pleasant and helpful you could not ask for more. Housekeeping made sure the room was always clean. The airconditioning was great. Had a great 6 night stay here. Price was excellent location was great. 5 minute walk to the party life and only 10 tops to the beach. Lots of places to eat and drink right outside hotel. The only thing this hotel needs is a pool. Stay in The Chambre Patong was great. 1) Best thing is location, it lies just 100-200 hundred meters away from Bangla road and yet has quiet surroundings. The hotel is located at a parallel road from the main, so you get very good accessibility and yet away from all the noise. 2) Many food and 7-11s all around. 3) Staff are really helpful. (When one of our tour pick-ups were late, they helped to call the agent. 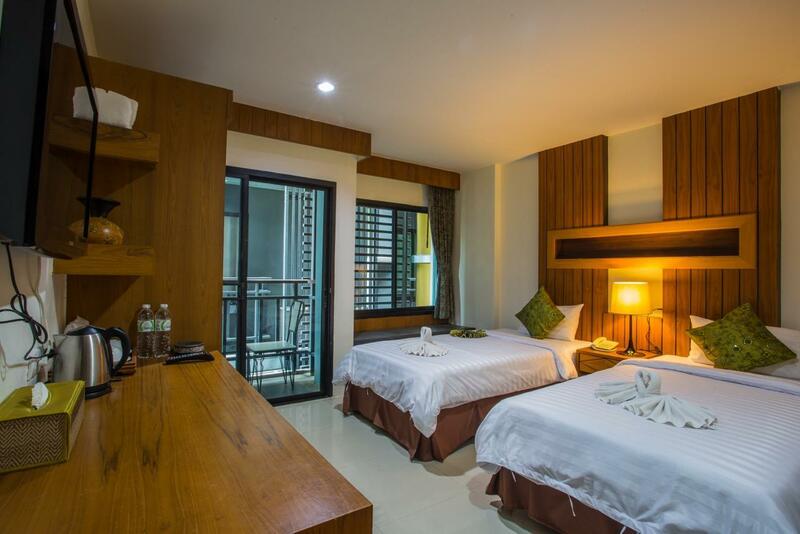 4) Rooms are clean and tidy, with wifi and LCD TV with many cable channels 5) Price is really a bargain too! Really love this clean and simple hotel, would definitely stay here again the next time we are back to Phuket.